Performers include: Ben Whishaw, Jim Broadbent, Edward Holcroft, Samantha Spiro, Lorraine Ashbourne, David Hayman, Clarke Peters, Charlotte Rampling, Mark Gatiss, Harriet Walter, James Fox, Adrian Lester, Riccardo Scamarcio, Josef Altin, Zrinka Cvitešić, Nicolas Chagrin, and Richard Cunningham. Part love story, part spy thriller, this British mystery drama features Daniel Edward Holt (Ben Whishaw). A hungover party boy, Danny stands on London’s Lambeth’s Bridge at dawn, wondering if life gets any easier. Along comes Alex (Edward Holcroft), out for an early morning jog. While clubber Danny is outgoing, romantic and self-indulgent, brilliant investment banker Alex is mysterious and aloof. Opposites attract. Danny and Alex form a bond. They soon realize they are meant for each other. When Alex is found dead, Danny questions the apparent circumstances of his death. He cannot help but look into it, but soon, Danny finds he is in too deep. His investigation leads Danny into the world of global espionage. Out of his depths, this warehouse worker reaches out to his friend and guide, Scottie (Jim Broadbent), to find the truth about Alex’s death — and his life. When Danny begins his investigation, he does not even know Alex’s full name is Alistair Turner. And he certainly does not know that rather than a banker, Alex was a member of Secret Intelligence Service, working for MI6. When he found Alex’s body, Danny also found a device that he eventually unlocks to reveal a flash drive. With the help of Scottie and a former professor of Alex’s, they discover it contains research on how to detect someone is lying, by their vocal patterns. As Danny continues his investigation, he is framed for a crime he did not commit, and is diagnosed with HIV, even though he does not believe he exposed himself to the virus. Danny later receives a cryptic call from Scottie saying, “There will be a note.” Not long after, Danny finds Scottie hanging from a tree, at their last meeting spot, in the park. Along his quest for the truth, Danny meets Detective Taylor (Samantha Spiro), who believes Danny’s incredible story, but cannot investigate, because she is being pressured to drop the case. Danny releases Alex’s research to the media, but it is all either deleted or returned to him. Danny’s own parents are even threatened into trying to thwart Danny’s search for truth. Eventually, Alex’s mother, Frances (Charlotte Rampling), a former member of MI5, realizes her former organization is behind her son’s murder. Although Frances holds out little hope, she joins Danny in his fight for justice. First aired: February 18, 2016. What do you think? 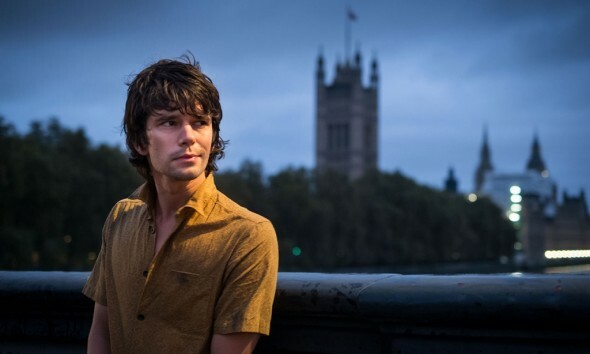 Do you like the London Spy TV show? Do you think it should have ended or been renewed for a second season? Broadchurch: Cancelled or Renewed for Season Four on BBC America? This show should definitely keep going. London Spy is a great show. The acting is remarkable, and the story is riveting. Please continue the show for many seasons to come.